Used in conjunction with the CEM S9032 Lift Controller, each elevator must have a Lift Control Interface. 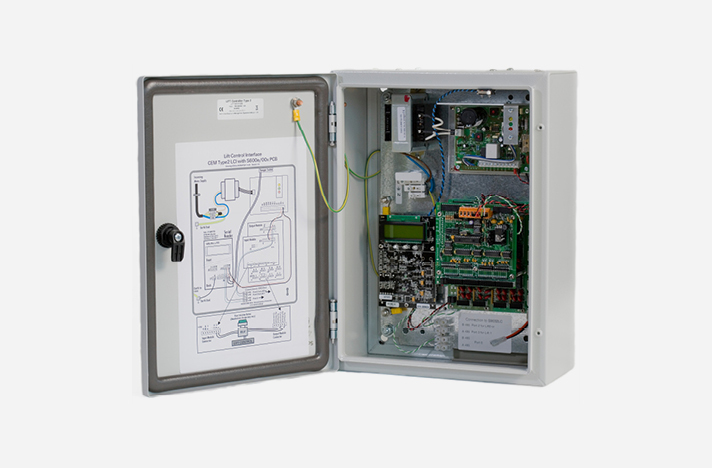 The CEM Type 2 Lift Control Interface controls up to 16 floors. The Type 2 Lift Control Interface directly connects to an elevator floor selection panel. The lift control Interface outputs activate buttons on the elevator floor selection panel according to the access permissions of the card holder.